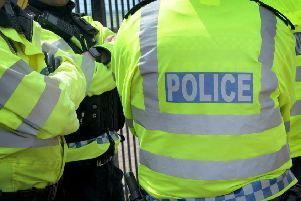 Police are investigating an arson attack that damaged an Audi A4 and a motorcycle in St Leonards in the early hours of yesterday morning (Monday, January 21). Firefighters were called to the scene in Warrior Square at around 2.45am and discovered that a motorcycle was also affected by the fire. A Sussex Police spokesman said fires involving a mattress in Brittany Road and a gas cylinder in Hollington Old Lane, both shortly after 1am yesterday, are also being looked at by police to see if there is any connection. Anyone with information about any of the incidents or who may have witnessed anyone behaving suspiciously around the locations is asked to report online or call 101, quoting serial 86 of 21/01.